I love a simple table and it’s easier to create than you think. 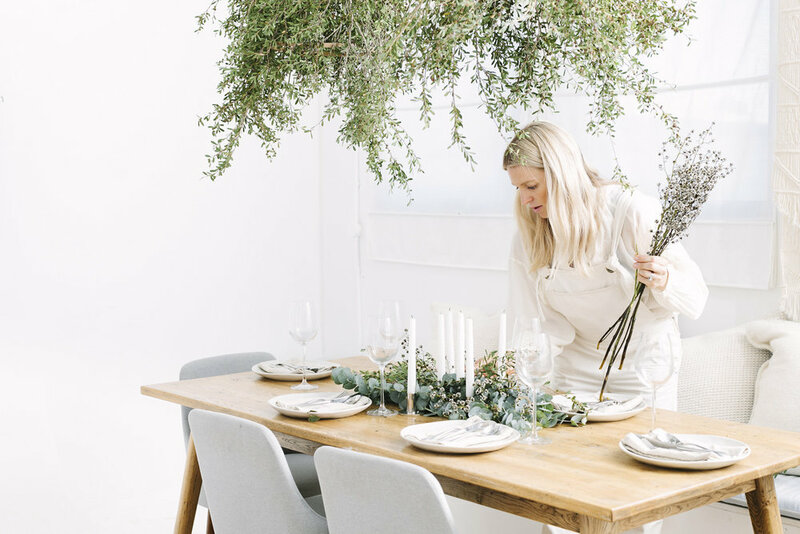 Emma wandered through her back garden and selected some lovely native greenery for part one of our table style guide. 2. Weave through any larger stems of eucalyptus or any other garden foliage you may have. 3. Fill the layers with a different textures and a soft flower for some variety. 4. Light the candles and do a little dance, using natives means that your can set your table the night before and a quick spray with fresh water the morning of is all you need. Add an extra special touch by adding a small thoughtful gift for each guest. Our well priced 15 hour candle packaged in small calico bags make great gifts that is sure to make your guests smile. You can get them here. A freshly ironed linen napkin adds a touch of good old fashioned elegance that every guest will appreciate. 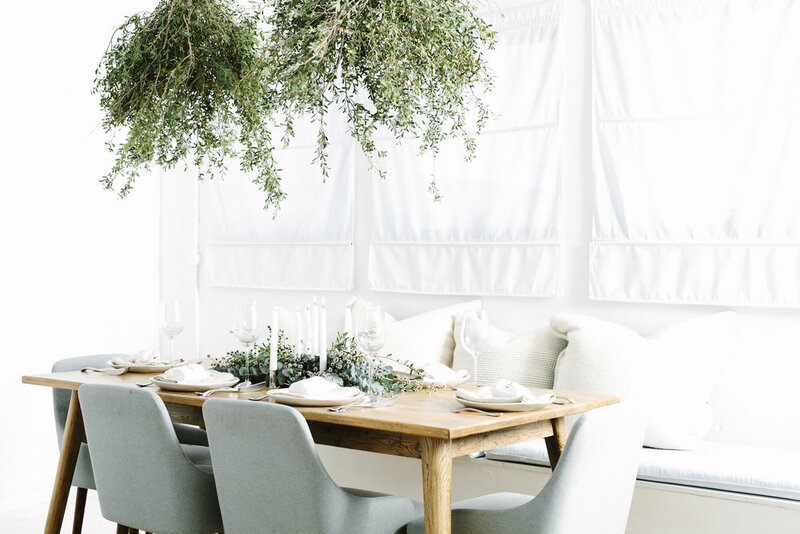 Liven up the dining room by hanging some greenery from the ceiling. We used a wooden cross stitch ring as the base and florist tape to tie the branches together into a cone shape at the top. Then just thread some rope through it and hang it from the ceiling. Feel free to reach out on our socials with any questions, we’re closer than you think and stay tuned for tips on table etiquette for the upcoming festive season.